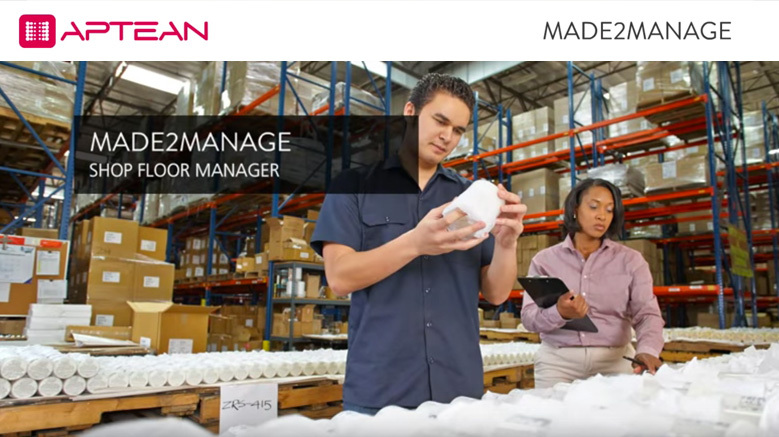 Made2Manage Shop Floor Manager is a real-time manufacturing execution system that allows you to manage production with ease and efficiency. Featuring specialized, user-friendly consoles and a flexible interface, Shop Floor Manager provides visibility into all shop floor-related information as well as real-time production status. Let’s take a closer look. Shop Floor Manager’s point of management system or supervisory console provides clear visibility in all shop floor activities and makes it simple for managers to check material status, release or prioritize work orders, and actively collaborate with shop floor. With a comprehensive work center view, managers have an at-a-glance view of job order status, material status and more, along with highly visible color coding to highlight items that need their attention. A quick click enables managers to drill into job order details, so they can see job order operations, the routing and the quantity completed, as well as the bill of materials and any accompanying documentation. From here, managers can also quickly access job order status to see what’s been completed, material shortages and labor status. This single point of control allows managers to view a comprehensive job list and slice and dice information using drag and drop or by choosing from the various filters. When you want to see who is working on what, Shop Floor Manager makes it easy to select an employee and see which job he or she is working on, as well as the job order details. Shop Floor Manager also enables supervisors and managers to quickly prioritize which job orders should be released to production and determine whether or not materials are available. Utilizing the integrated production analyzer tool, they can track performance against routings for a more accurate measure of production efficiency. Standard routings may also be updated with this information if desired. Shop Floor Manager also provides direct access to the planning and schedule area of Made2Manage. From one easy to use interface, the work center console provides an ability to view or priorities, issue materials, move jobs to inventory, and report labor. And from any terminal, employees can clock in by keying in or scanning their badge number or using the system’s touch screen capabilities. They can then select their work center to view a prioritized work order list, drill down to see job details, review memos and even view documentation such as assembly instructions, drawings or safety information. This centralized console also allows employees to clock onto specific work orders on the fly, allowing for regular, serial and parallel labor types. When the work is complete, employees can easily clock off the job and record the quantity completed, ensuring accurate information is captured in a timely fashion. As an added benefit, the work center console enables team labored clocking, allowing team leaders to clock time for entire teams while reducing overhead and errors. In addition to providing full functionality for tracking and managing labor, Shop Floor Manager makes it simple and efficient to issue materials to a job order right from the shop floor. This easy-to-use system also allows finished goods to be moved to inventory with just a few clicks. Real-time Made2Manage Shop Floor Manager provides real-time shop control, paperless communication, and easy-to-use functionality delivered through centralized, user-friendly consoles to enable you to work more efficiently and manage production more efficiently. To learn more about Made2Manage Shop Floor Manager, please contact us today.